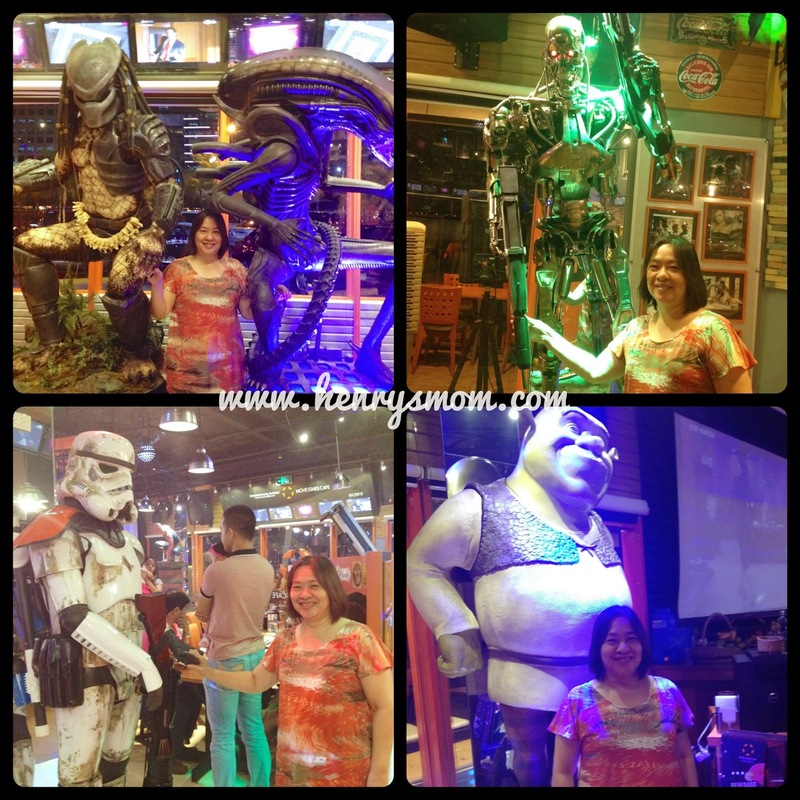 Movie Stars Cafe is, as the name implies, a movie-themed cafe and restaurant. 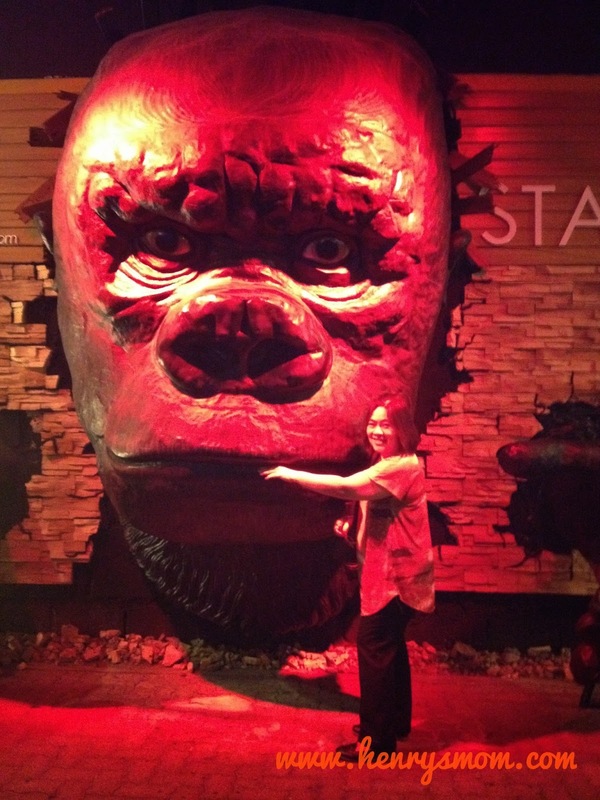 As soon as you get there, you will notice their trademark gorilla sculpture. Of course, the little kid and the mother-in-law couldn't wait to have their picture taken. Once inside we were blown away with the whole set-up. The Movie Stars Cafe has 4 huge screens and a hundred more small ones playing different movies simultaneously. 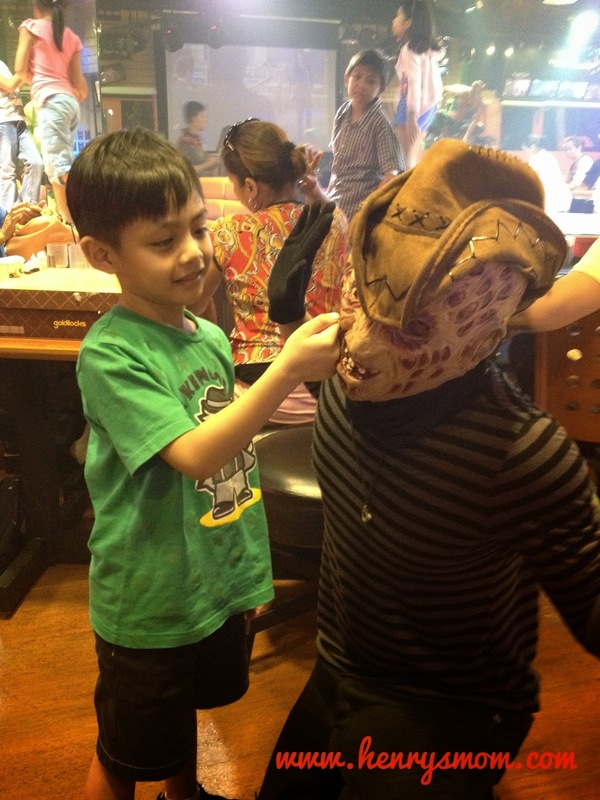 There were actors and actresses in different costumes who also served and entertained the customers. 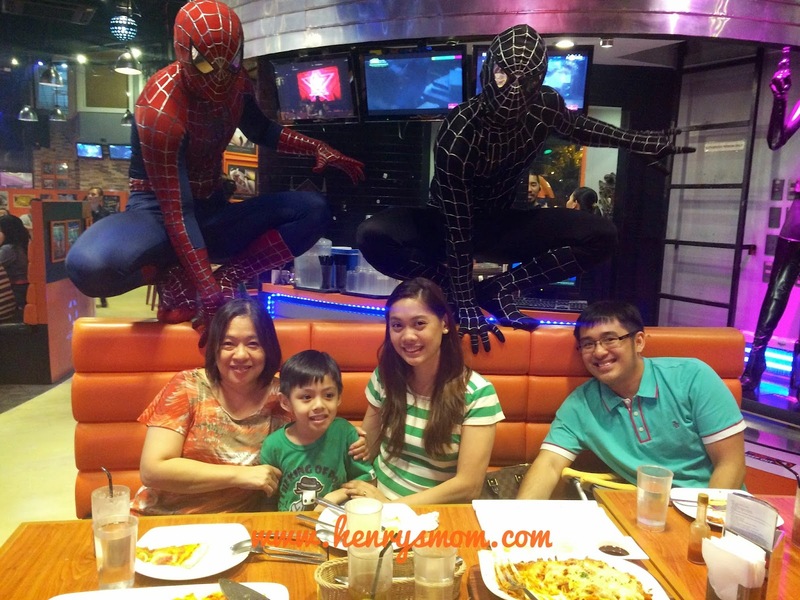 For the food, you can choose from their menu or avail of their Dino buffet (P599). You can see their open kitchen from the buffet section. They had a huge selection of food which all looked delicious. 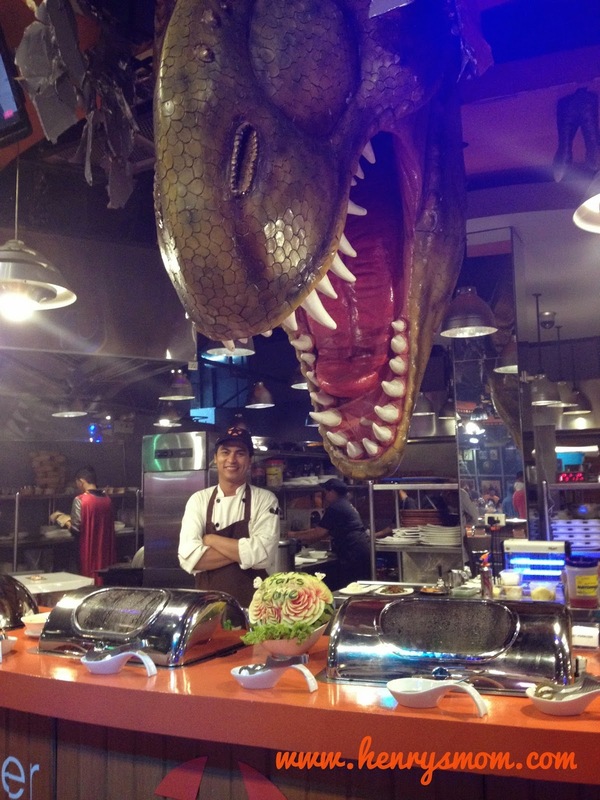 You won't get lost finding the buffet because of the large T-rex head hanging above it. We chose to order from their menu since we were on a "diet". Their meals were inspired by different movies. All their meals are good for 2-3 persons. 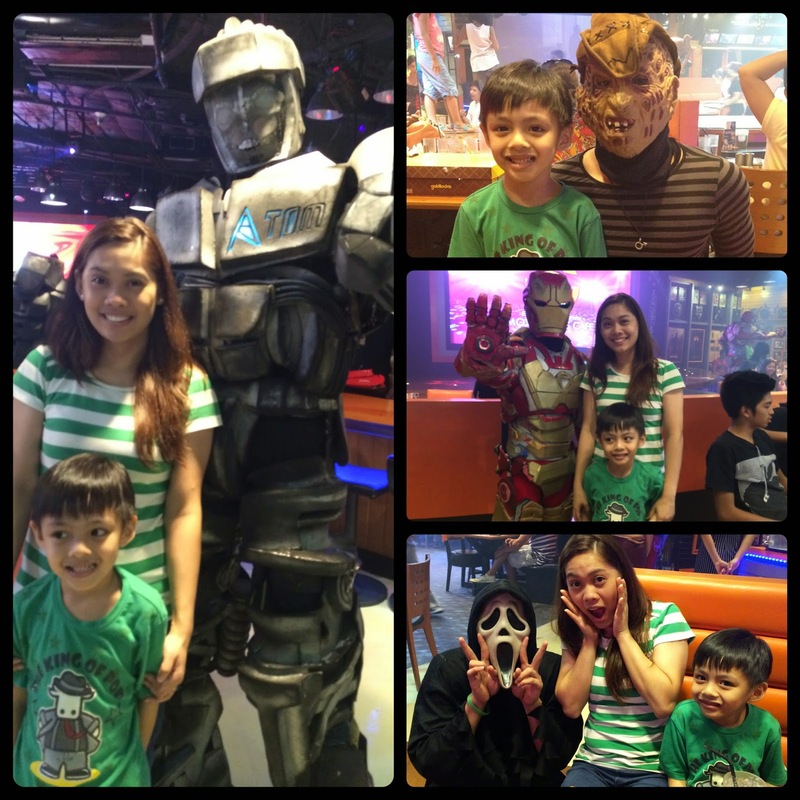 It was really sulit. For starters, we had the seafood platter, Treasure Island. Our main course were their bestsellers, The Notebook and the 18" El Supremo Pizza. 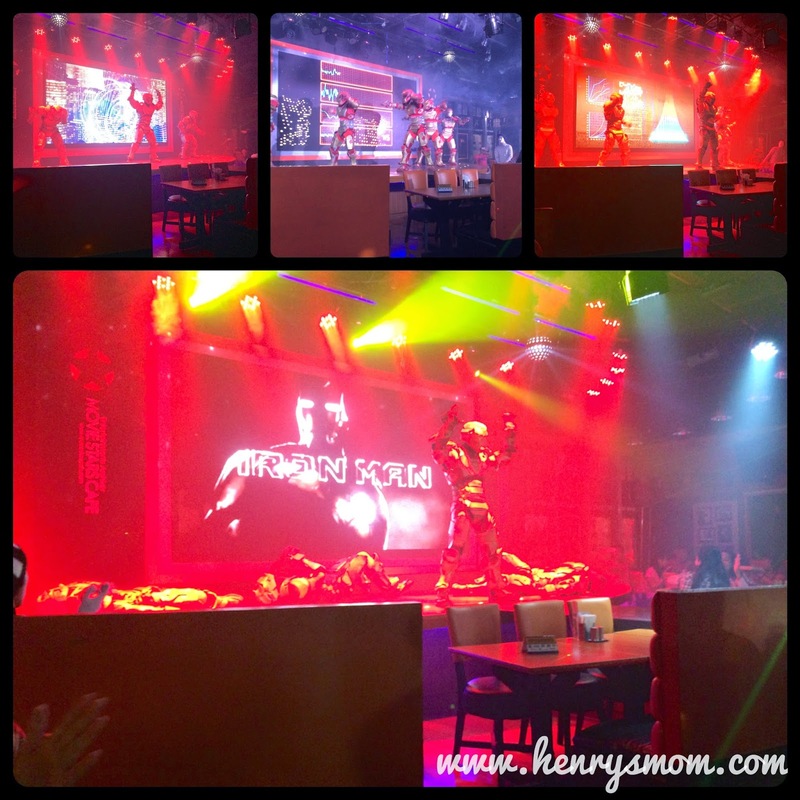 While we ate, we enjoyed the live performances. Every 30 minutes, a different show goes on stage. This goes on from the moment they open until closing time. The Magic show was our favorite. They had a volunteer come up the stage and join them. 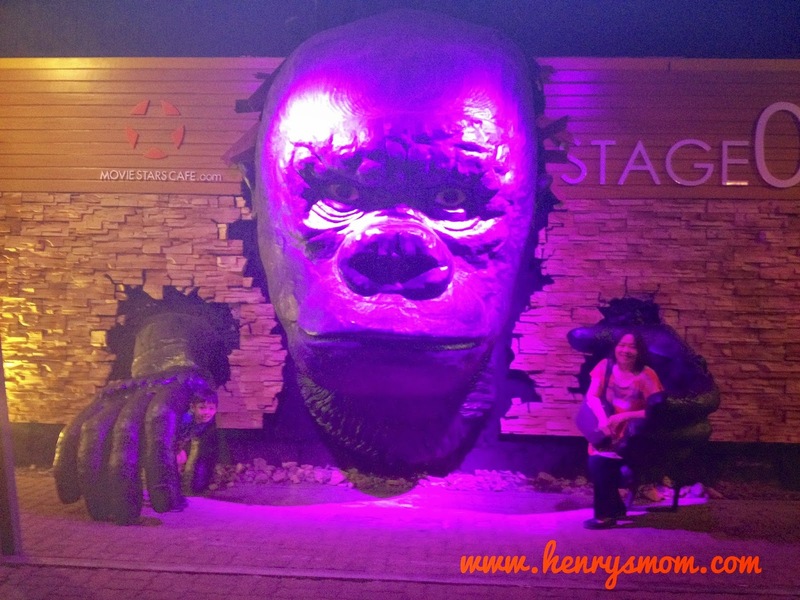 We also had fun roaming around the place because of the sculptures. The MIL was so game to have her pics taken with them. 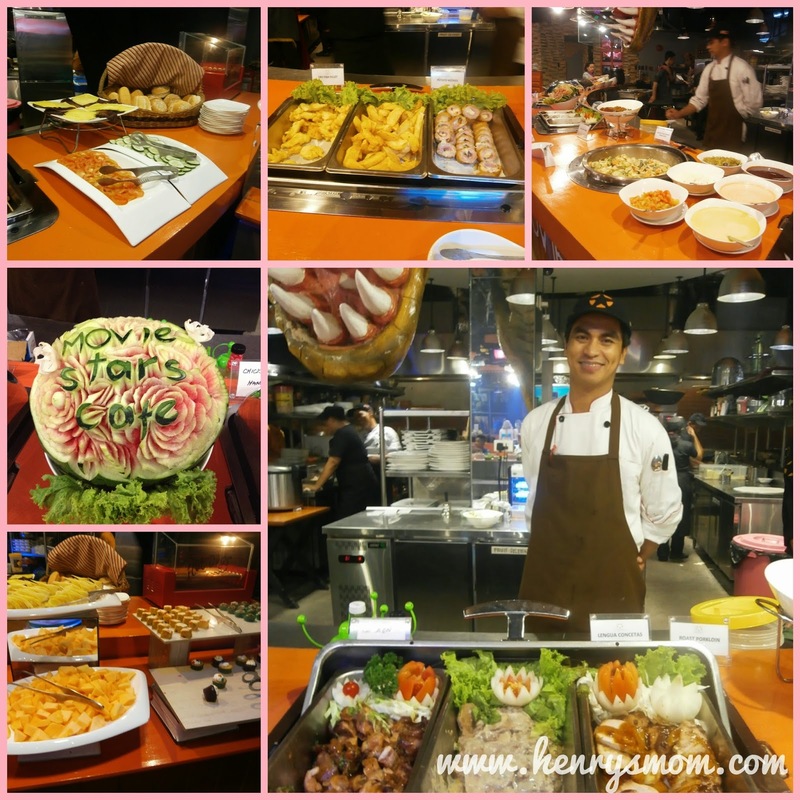 Aside from the regular menu and Dino Buffet, Movie Stars Cafe also offer a Midnight Buffet (P599) from 12am to 2am. Party packages are also available. 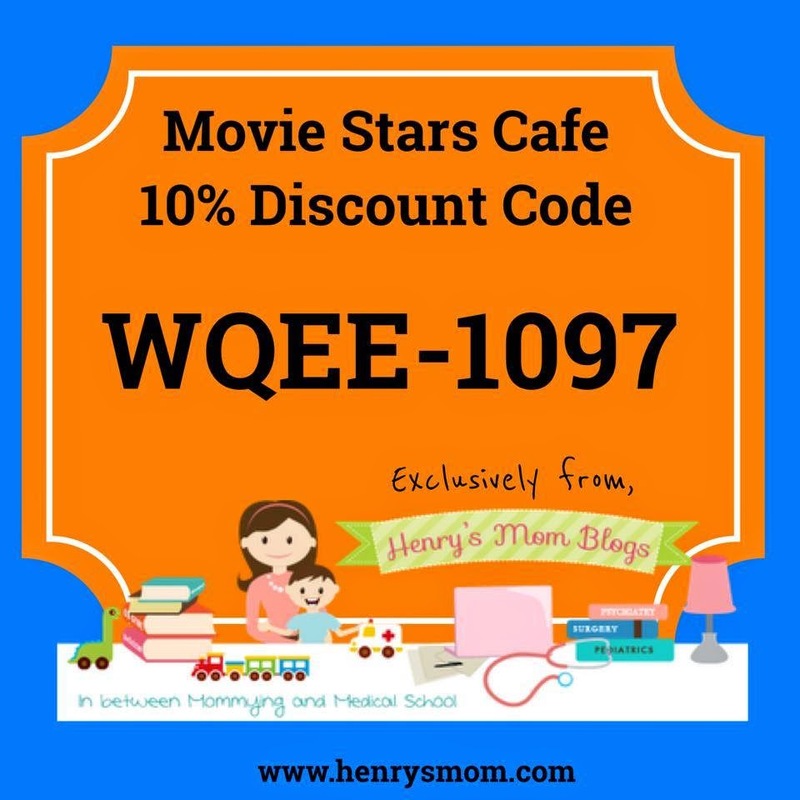 Save this coupon on your phone and use it every time you dine in at Movie Stars Cafe. Just mention this code to your server or show your coupon and they will automatically slash 10% off your bill. 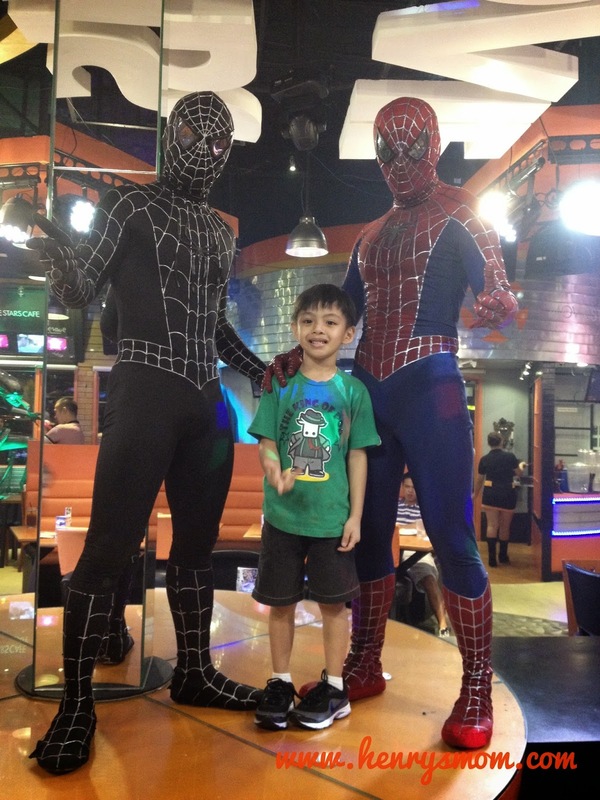 You can visit Movie Stars Cafe at By the Bay, Seaside Blvd, Mall of Asia, Pasay City. For more information, you can also go to their Facebook page.